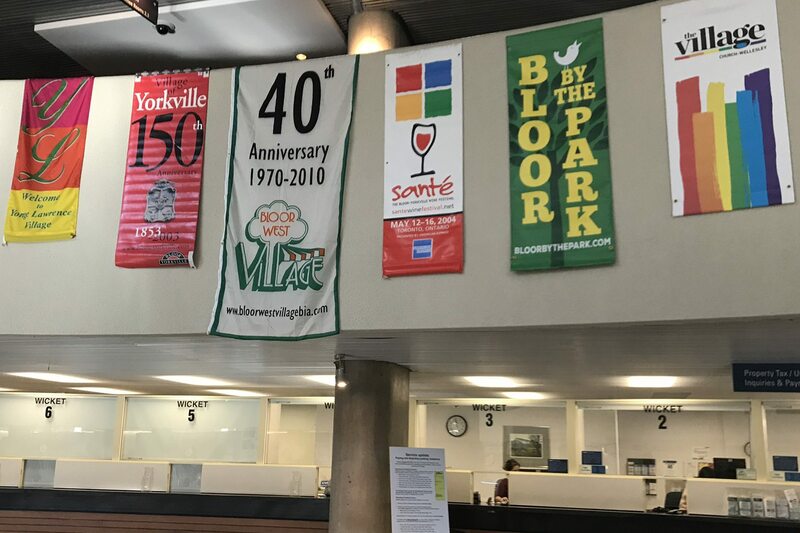 Last week the Bloor-Yorkville BIA participated in BIA Week at City Hall. Organized by TABIA (Toronto Association of BIAs), the event saw 57 of the City of Toronto’s 83 BIAs participating. 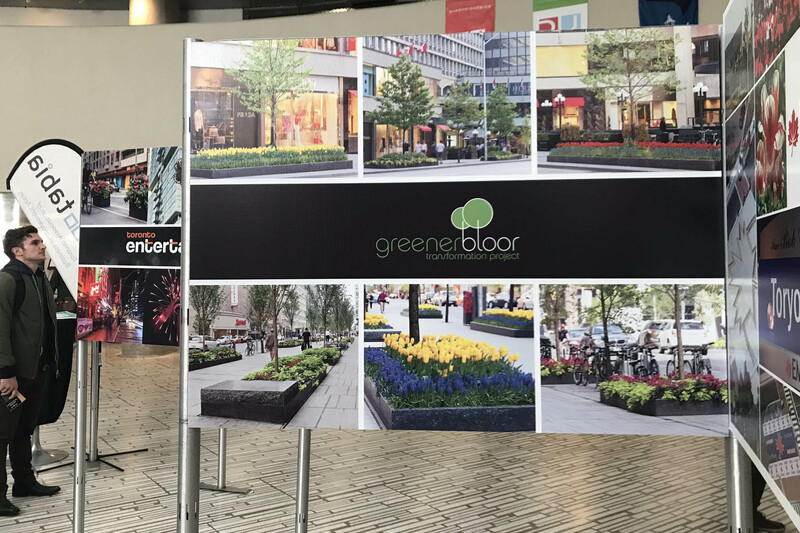 Each BIA highlighted their areas, bringing awareness to the public and City Staff of the many efforts, streetscape projects and events which BIAs carry out in many neighbourhoods throughout the city. Proudly represented at BIA Week! 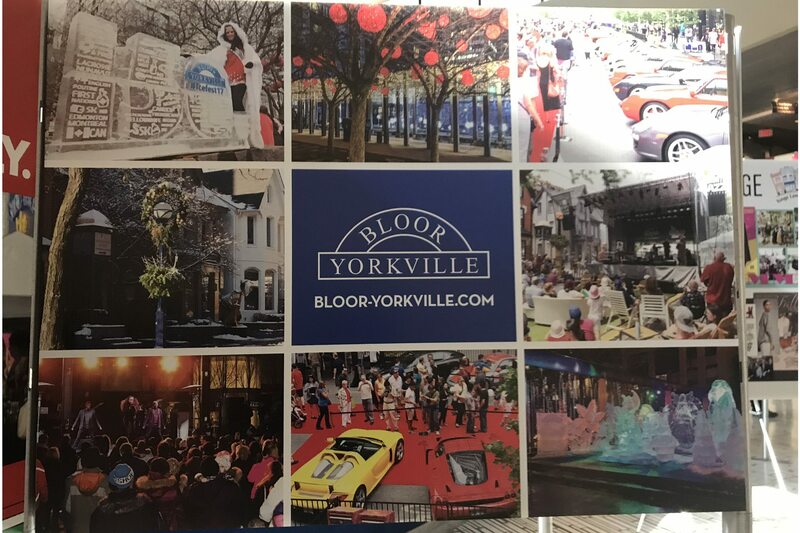 On Wednesday evening, the City Hall towers were lit blue and white to recognize BIA week, and it certainly gained a lot of attention, as #BIAweek was trending in second place on Twitter. 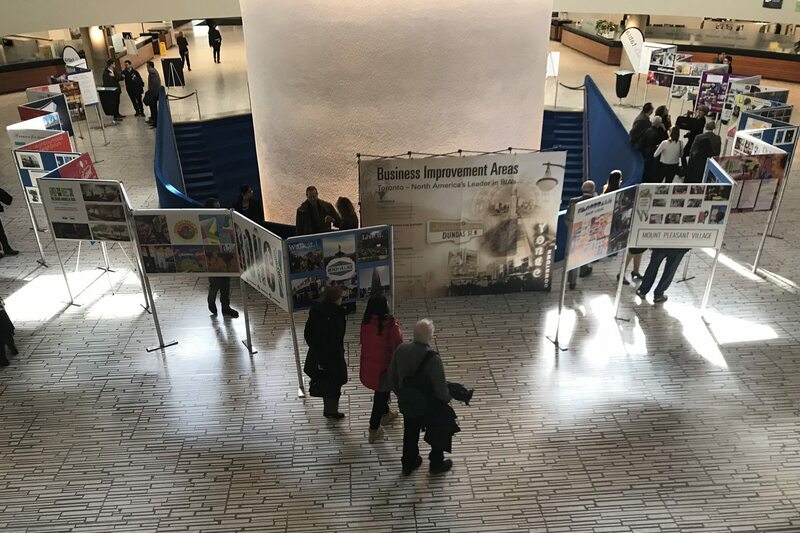 John Tory welcomed BIA representatives, and congratulated John Kiru, Executive Director – TABIA, for creating an event to bring the BIA awareness to City Hall.